Over the years I have come across several glaring errors and erroneous methods in other back office management software that have derailed a broker’s ability to manage and operate his/her business effectively. The risks are high, and it is important to have a solid foundation to work from to be successful and profitable. Let me give you one example of a coaching story to illustrate my point. 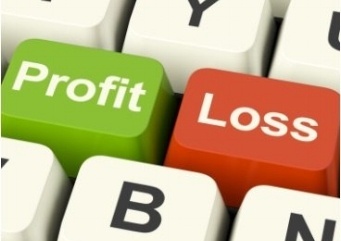 I had a client that provided me with their Profit & Loss (P&L) report. At the time they had 35 Realtors® and the P&L showed a profit of $50,000. In the process of what we do, we analyzed the report, normalized the data and offered recommendations. I requested another update 6 months later. I was shocked to find a general ledger (GL) item for -$125,000. This is highly unusual. Where did this GL come from? In addition to that, it is bad practice to have such a significant six figure number referenced simply as “Uncollected rent”. What was most enlightening was the fact that the Broker had no idea what this GL represented. I found out that the back office management software they were using had a strange method of posting revenue. Only after digging and thorough investigation did we find out that the method involved posting the anticipated revenue of a Realtor® at the beginning of their contract year in the Balance Sheet as a receivable. Every month 1/12th of that balance was posted into revenue, whether the Realtor® sold a house or not. Worse was that this erroneous GL account “uncollected rent” showed up at the end of the year. The -$125,000 represented the shortfall of the anticipated revenue. In reviewing the P&L Report, I originally thought she had a $50,000 Profit. In truth, she was losing $75,000 a year. Think about this. What if you were interested in purchasing an existing business and you were deciding what you were going to offer the owner based on the Profit and Loss statement. You could be making a catastrophic error. This is why it is so important to do your homework when selecting a back office software solution. It is the foundation upon which you will make key business decisions and you need to ensure it has sound processes and measures built in. The above mentioned experience is one of the reasons we created the “Brokerage Profit Analysis”. It is imperative to interpret information correctly. The Brokerage Profit Analysis normalizes data to create an operational view of the business. I also call this “The View of the Buyer”. It provides a true apples to apples comparison of information in order to clearly compare key metrics in order to make sound financial and operational decisions. The Profit Analysis also forecasts the “Future State”. What would the outcome be if we stayed the course? We also forecast another view called the Target Operating Model (TOM). This is a “What if” view. What if your business made certain financial and operational changes. The “What if” view motivates us to the right activities because when you have a clear goal, you are typically more inspired to do the hard work knowing the potential outcome of those activities. The bottom line is simply this – stop operating blind. Knowing your numbers is more than just reviewing reports. Interpreting reports with a proper analysis is essential and powerful in creating a profitable organization. Peter Mueller is the founder and CEO of The Profit Centre. The Profit Centre and iBroker have partnered to offer North American brokerages a one-of-a-kind back office management solution designed to streamline operations and increase profitability.